Spend an evening enjoying the glitz and glamour that brings millions of people to Las Vegas each year. The evening tours are especially popular because the bright lights of the city are visible. The excitement of Las Vegas is appealing and all that the city has to offer will be shown during both of the night tours you can choose from in Las Vegas. From the desert attractions to the upscale styles of the Strip, Las Vegas has a little bit of something for everyone. 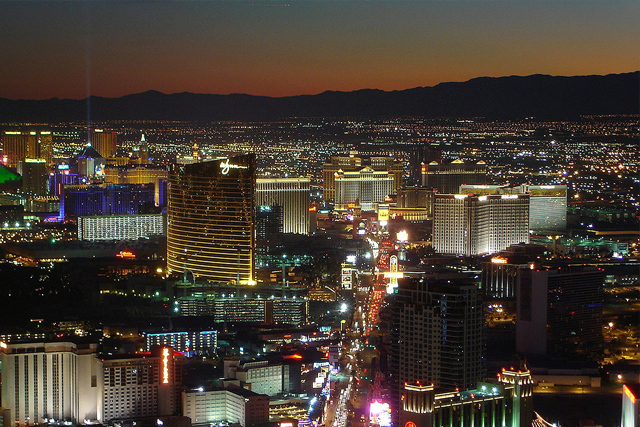 The Neon and Lights Tour gives you a glimpse at the highlights of the city of Las Vegas. this tour is led by an authentic ‘Western' tour guide. You will have the chance to travel around Las Vegas as you explore the scenic aspects of the city. You start out by heading downtown. 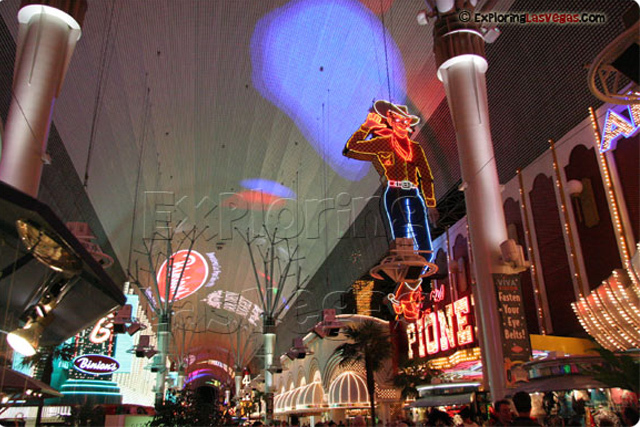 As you travel through the area, you have a chance to visit the Fremont Street Experience. From there, you will head down Las Vegas' infamous Strip. You will head to the Tropicana Hotel and Casino where you can go on a tour through the Casino Legends Hall of Fame Museum. Do not worry about paying an admission fee, the price is included in your payment for the Neon and Lights tour. Finally, you will travel to the Special Memory Wedding Chapel. This is the ultimate way to get married as it offers "drive-thru" service. Just drive up to the window, say your vows and you will be legally married. This is one cultural attraction in Las Vegas, which you will not want to miss. Make sure to wear comfortable shoes. This is driving and walking tour. Tour duration is approximately 6 hours. Tour includes : Drive By the Bellagio, Mirage, and Treasure Island, Downtown's "Glitter Gulch"